The Crossings Library will host the Definitely Not Plato Book Club’s evening on Wednesday, Jan. 25, 2012, 7-8:30 p.m. with a guest reading by Betty Jane Hegerat. Mentioned in my previous column’s Christmas shopping book list, Hegerat released a new novel this past fall. 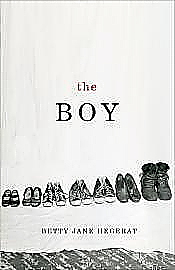 “The Boy” (Oolichan 2011), is a creative non-fiction tale told around the 1959 Cook family mass murder in Alberta. Her previous title, “Delivery,” was shortlisted for the George Bugnet Prize for Fiction in the 2010 Alberta Literary Awards. A social worker by profession, Betty Jane now teaches creative writing for Continuing Education at the University of Calgary and for the Alexandra Writers Centre and other venues. “ The Rocky Mountain Rangers were to be Southern Alberta’s first military regiment. They weren’t just a bunch of yahoos who wanted to fire guns in the air,” summarized Tolton, sitting in his second home — The Lethbridge Public Library. “They were some of Southern Alberta’s first settlers, some potentially, readers might find their great grandparents here,” he said. The story unfolds before the backdrop of 1885 and the Riel Rebellion, Louis Riel and Gabriel Dumont, breaking of the first Indian treaties, worries of invasions from Indian bands and American raiders, miscommunication and a little bit of paranoia. So a wide variety of people including former NWMP officers, military veterans, ranch hands and cowboys formed the Rocky Mountain Rangers to defend the countryside. “It was a little anticlimactic because the rebellion did not spread to southern Alberta,” he said. The book sets the scene for the formation of the Rangers by outlining the stories of some of the men who started it and the conditions and political climate they were living in. There is an appendix including condensed encapsulated biographies of most of the members. “It was an open range with no fences. So they wanted people who had the ability to ride and shoot,” he said. The roots of the book came from his research into Kootenay Brown, a scout who among his accomplishments, founded Waterton Lakes National Park and was one of the original rangers. He discovered him and the Rangers while researching a shorter book on the Rangers for the Lethbridge Historical Society in the early ’90s. “He was the most famous of the rangers,” he said. Everyone loves to get a good read for Christmas. Consider supporting your local authors and put Alberta books on your gift-giving and gift-getting lists. There are many to choose from no matter what your interest. Best of all, your hard earned shopping dollars will truly stay in your own city and province and support your local book industry. Richard William Stevenson, Lethbridge College english professor, is a well-published poet author of over 25 books, an entertaining performance poet and has been called "a human writing machine" sending out poems and prose all over the world. 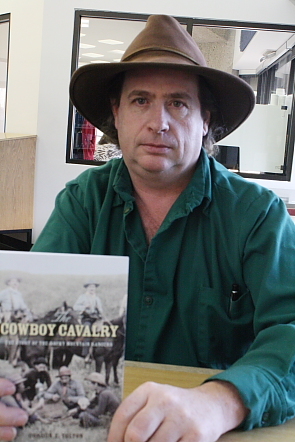 He was described by the Calgary Herald as delivering "creative poetic resuscitation" with his work and noted as an inspiration to a younger generation of writers as a teacher in Lethbridge. 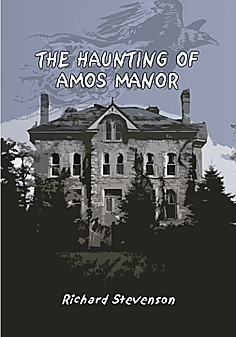 His latest adventure is into Juvenille fiction with The Haunting of Amos Manor, about a haunted house and a self-confessed science geek and amateur sleuth, searching for a scientific solution to uncovering the mystery of his family’s new somewhat haunted home. 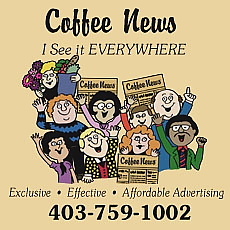 Jane Harris Zsovan is a Lethbridge author and journalist who also teaches and writes for national and regional periodicals about business, faith, politics and social issues. Her books include Stars Appearing: The Galts’ Vision of Canada and her latest is Eugenics and the Firewall: Canada’s Nasty Little Secret. Between 1928 and 1972 nearly three thousand citizens were sterilized, lied to, experimented on, and subjected to daily abuse at the hands of provincial staff in Alberta, under the government’s Sexual Sterilization Act, which removed the need to obtain consent to sterilize “mental defectives”. Between 1928 and 1972 nearly 3,000 citizens were sterilized, lied to, experimented on and subjected to daily abuse at the hands of provincial staff in Alberta. Calgary author Betty Jane Hegerat is the author of two novels and a collection of short stories. Her creative non-fiction book, The Boy, is about a mass murder in Alberta in 1959. Her previous title, “Delivery,” was shortlisted for the George Bugnet Prize for Fiction in the 2010 Alberta Literary Awards. This Sunday, Sept. 25, 2011, the city of Lethbridge will partake in a national day of celebrating reading and advocating literacy. With history dating back to 1990, The Word On The Street is an annual one day festival also happening nationally this year in Toronto, Vancouver, Halifax, Kitchener and Saskatoon. These communities coast to coast will participate in hundreds of author events, presentations and workshops and boast a marketplace of the best selection of Canadian books and magazines. The fun filled free event hosted by the Lethbridge Pubic Library, will fill the downtown street venue between the Bowman Arts Centre and the downtown library, from 11 a.m. to 5 p.m. with exhibits, performances, author reading, storytelling, marketplace, teen zone and book inspired crafts and fun for the whole family. Some of the many talented writers, too many to list here, joining in the festivities include local writing icon, poet, author, and Lethbridge College teacher Richard Stevenson on hand with his latest book, his 26th title and his first novel. Calgary’s award winning Sheri-D Wilson has seven collections of poetry; her most recent, Autopsy of a Turvy World, was launched in April at the Calgary International Spoken Word Festival. Young adult novelist, David Poulson will be here before leaving to tour Japan and Korea with his award winning latest title Numbers. Prairie gardens and outsmarting winter will be featured in the titles available by garden expert June Flanagan.